The fact that while you began the week with the Moon in your income sector there are no planets in either of your two money houses, is working to your advantage. You have the sharp nose for money to tap into when you need to, but when you don't you can focus on the more immediate task of getting your ducks in a row professionally. Starting the week with the Moon in your income sector is always an advantage, giving you a nose for money from the get go. The Moon returns every four weeks, but for the first time this year, it returned over the weekend to find no more planetary activity on the financial front and therefore less push back and less potential for financial tension. The Moon will be gone by Tuesday, but this is one week when a sharp nose for money from the get go could be a game changer.  For the week begins with the Sun, in his final days in your career sector aligned with Jupiter, as he enters his first full week in retrograde motion in your work sector. To have the Moon move through at that very moment, means you literally begin the week with the Sun, Moon and stars aligned across the income, work and career fronts. While there is no planetary activity in either of your two money houses, there is something special and empowering developing on both fronts. You begin the month with the Moon in your financial sector and until leaving on 2nd April, this will ensure you begin the month with your financial instincts and imagination fuelled from the get go. With Venus having just left late last month, bringing all planetary activity to a close, this is also a valuable chance to tie up loose ends. Your financial sector is the money house that focuses on what you do with the money you have and when the Moon comes full circle from 26th April to 29th April, there will be a chance to check back in. With no planetary activity in your income sector since mid 2018 and no activity at all since the North Node left in November, apart from a total lunar eclipse in January, here you are in preparation mode. Until Mercury returns to your income sector in June and Mars in early July, there is no planetary activity here, but a lot is happening in the preparation for what will be the most lucrative months of 2019. Those months will run from 21st June to 29th August, making everything that happens now professionally significant. And that is where the focus is this month, with the Sun in your career sector until 20th April, Mercury from 17th April and Venus, the planet of money from 21st April. All have or will return to find lucky Jupiter in your work sector, for the first time in 12 years, making this a powerful month on both the job and career fronts. All the planets that will contribute to making the middle months of 2019 the most lucrative, have already moved through your career sector or will this month, gaining the professional momentum that future income potential will depend on.